I looked at a variety of such systems but eventually I narrowed my search down to weather stations and satellites. Weather stations are a good case study because they are very likely to be placed in a remote location away from the power grid. Also, they are expected to work autonomously for long periods of time without any maintenance and can be subjected to a multitude of weather conditions making solar and wind power not so reliable. Satellites, on the other hand, have a very predictable exposure to solar rays but they have other constraints such as weight and size of their components. Therefore, energy optimisations might contribute either by allowing the use of smaller solar panels and/or batteries, or by adding extra functionality to the on board computer for the same energy cost. For this study I chose this hobby project by Xose Pérez. One of the reasons for my choice is that unlike most of the other hobbyist or open source projects I found, this one aims to make the station autonomous and as energy efficient as possible. I think that it would be interesting to observe the reduction in energy consumption on software that is already written to be energy efficient. Also, this station is based on the Arduino Fio which uses the ATmega328P. This micro controller is already among the initial targets for the MAGEEC project. Thus I can develop this case study without spending additional time on training the MAGEEC system for a new micro controller. In addition, the weather station is relatively simple so this reduces the time I have spend on it even more. Overall, from this particular case study I aim to get data on smaller systems in a quick and simple way. 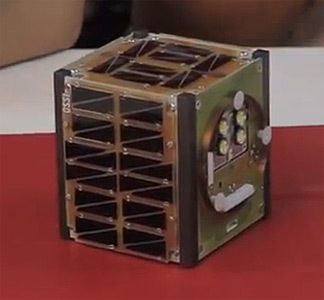 The project I am basing this study on is the Open Source Satellite Initiative. It was started and lead by Song Hojun, a South Korean artist, and the aim was to develop and send a fully functioning satellite in orbit. You can read more about the project on its wiki. What makes this a great case study is the fact that in space you try to get the most value out of your resources. Therefore, energy optimisation can provide more functionality to a satellite. Constructing the whole satellite might be a bit too tasking and unnecessary. That is why I will only build the parts needed for the operation of the on board computer. Also, the micro controller used is a MSP430. It is not currently targeted but one of the goals of the project is to expand the range of supported architectures. However, this will require additional time. Unlike the weather station, I expect this study to take more effort and time but the data from it will be of greater importance. That is why I plan to spend the majority of my time on this one.